Ruth and Jess migrate south! After four days of bouncing through airport terminals, Ruth, myself, and the members of the LTER soils team (http://www.mcmlter.org/) have come to our southernmost Antarctic destination at last! Now, truly seasoned travelers (i.e., polar scientists…and Arctic terns) have come to find such a commute pretty standard fare. Yet for an Antarctic newbie like myself, this level of perpetual motion left me feeling as though we had traveled to the bottom of the earth. Fittingly, we’ve ended up just there. A mere 30+ hours in the air has landed us at McMurdo Station, Antarctica. But let’s backup for a moment. Up until leaving New Zealand, our travels had all been standard commercial airlines. 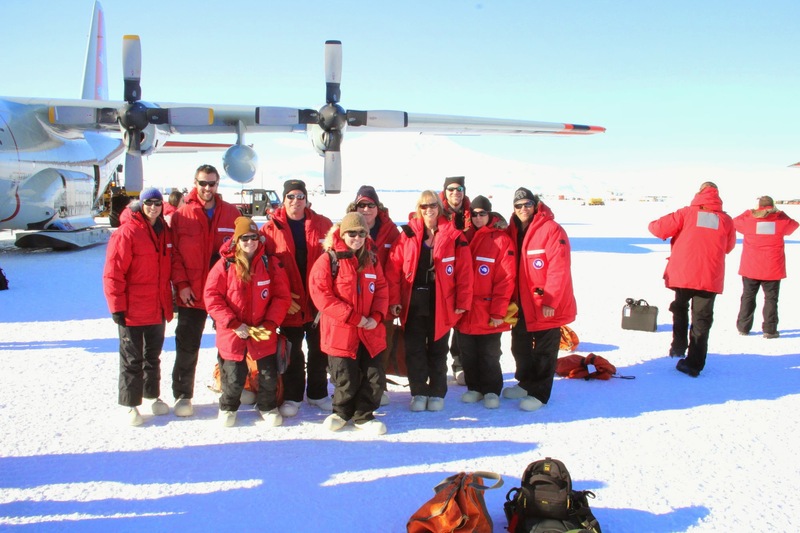 But for NSF funded projects such as the McMurdo LTER in which we’re participating, travel to the field happens on Air National Guard LC-130 cargo planes. So in preparation for this we all spend a day in Christchurch, NZ at the CDC (Clothing Distribution Center), where we are briefed with orientation videos, our computers are security checked, and we are outfitted with our polar gear. 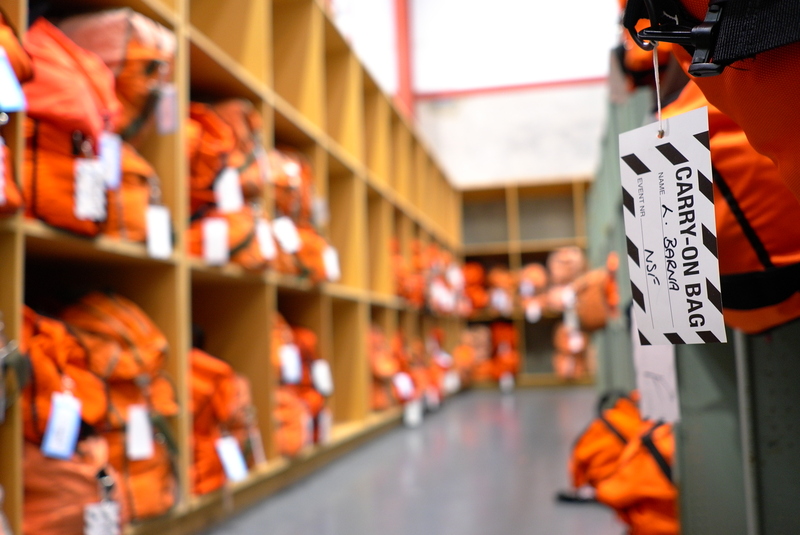 When we arrive at the CDC, we step into a large changing room where two orange duffle bags sit waiting for each person. Gradually we pull out piece after piece of cold weather clothing. 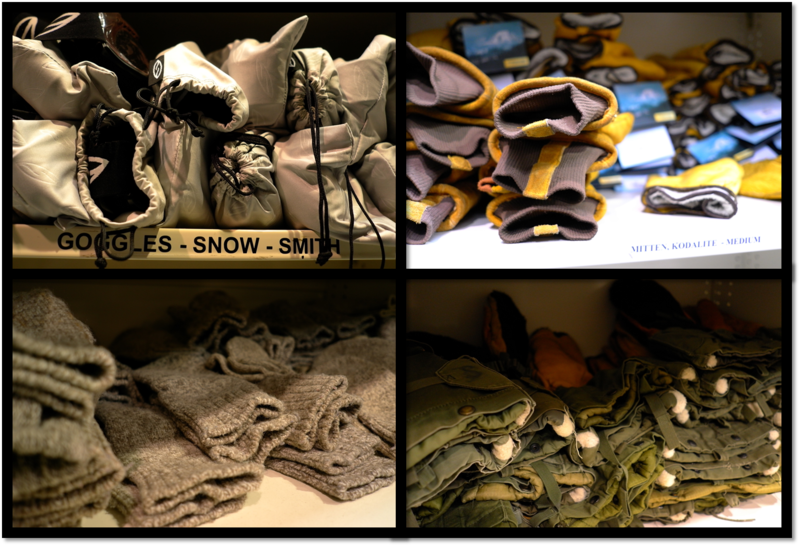 This ranges from giant puffy jackets and white rubber “bunny boots”, to silky long underwear and wool socks. 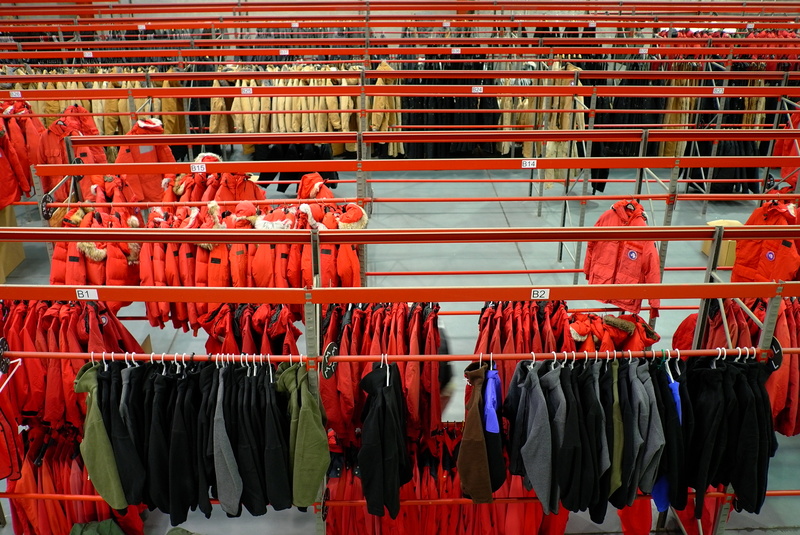 The warehouse here is impressive and fully stocked. After all of our gear preparation is finished, Ruth and I take to the streets of Christchurch. Walking downtown it’s immediately evident that the city is still in recovery, even three years after their devastating earthquake. 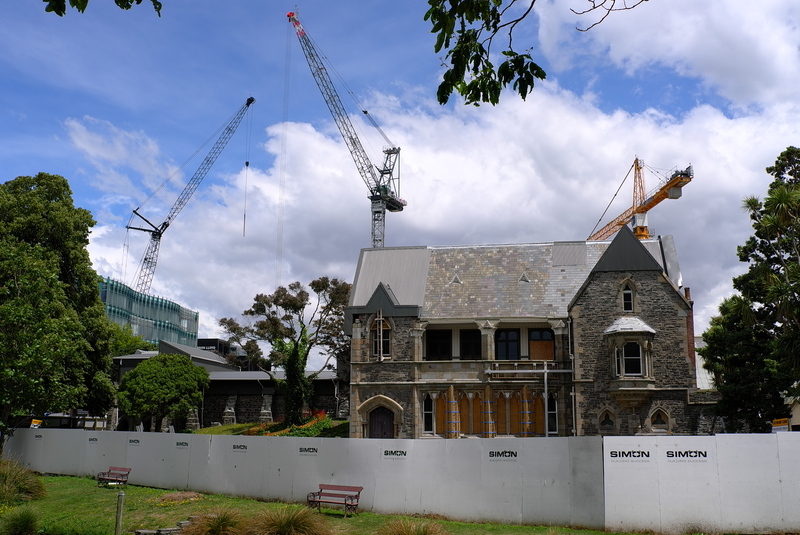 Piles of rubble are fenced off on city blocks, and large open spaces are left where hotels, restaurants, and apartment complexes used to stand. We walk through the city’s new “shipping container-chic” shopping centers, where fallen buildings have bee replaced by funky colored shipping containers selling street food, clothing, books, and jewelry. 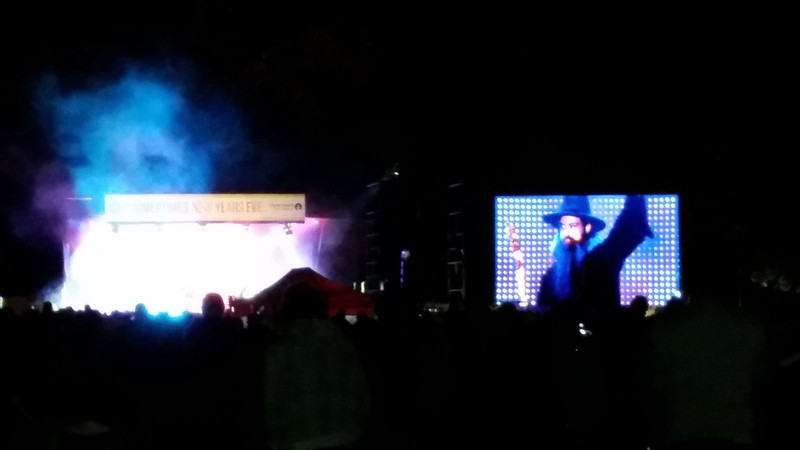 In the evening, we walked to nearby Hagley Park to bring in the New Year. Crowds of people sat in the grass swaying to the sounds of local cover-bands singing Jonny Cash in Kiwi accents. Finally, per New Zealand tradition, we were all enchanted by the Arch Wizard of Canterbury as he casts an explosive (fireworks were involved…) spell on the crowd for coming year. The Arch Wizard is projected onto a giant screen as he casts his spell. 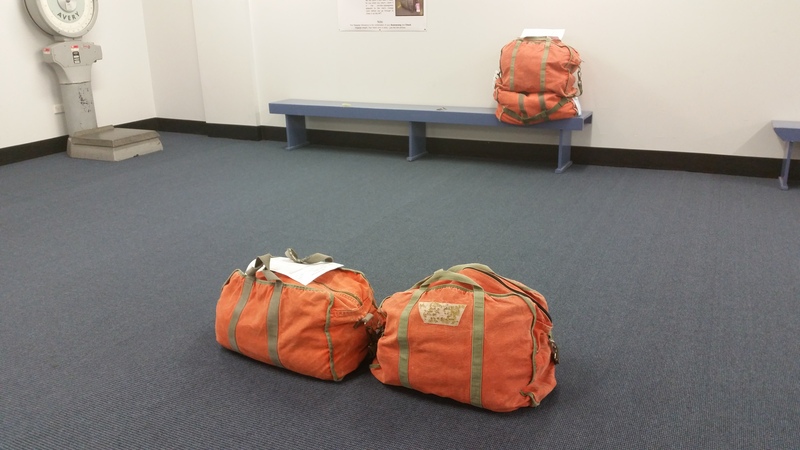 The next day, we go back to the CDC to don our polar gear, check our bags, and get briefed by the ANG on flight to the ice. 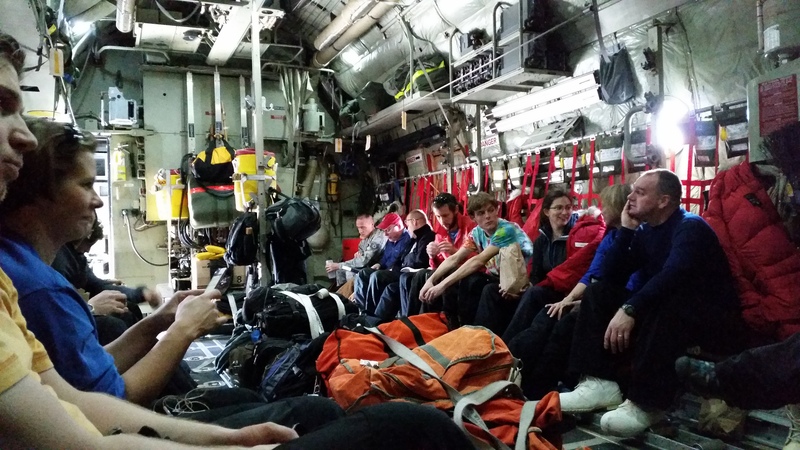 It’s a toasty ride for those 8 hours to McMurdo, as we have to wear our big red jackets, snow pants, and bunny boots on the plane. Soon enough, we feel the plane glide onto the ice and we step out into a blindingly white world. The team has officially arrived in Antarctica. Stay tuned for updates on the science we are now preparing to do! I always feel so conflicted at the end of a field season. 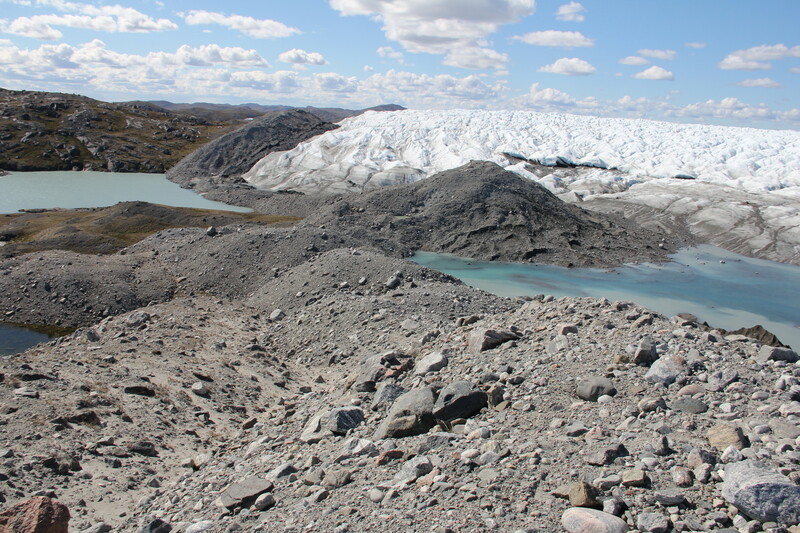 I have grown so accustomed to life here in Kangerlussuaq that the thought of living without my tent, our trusty Toyota Hilux, or the amazing views of the Greenland Ice Sheet seems foreign. But at the same time, the thought of heading back to Hanover, where fresh food, friends, and summer are waiting is really quite exciting. After driving this Toyota Hilux every single day for 6 weeks, I’m definitely going to miss it. The last two days in Greenland are always full of small yet necessary tasks. Take down the tent. Clean out the truck. Fuel the truck. Pack science equipment. Return all keys. Return the satellite phone. And the list goes on. Generally I try to complete these annoying errands as quickly as possible so I can check them off the list. But the one small task that made me pause was packing all the soil samples I’ve collected over past six weeks. Each small plastic bag of soil brought back the memory of working in the field that day, at that particular site. Will I return to that site again? Or is this soil all I have to remember that spot? I really do hope I get to see some of these views again. For now, I at least have pictures (and samples) to remind me. While some of my thoughts were this nostalgic, I also started thinking ahead. What will these samples tell me? What story about biological soil crust will I learn after analyzing these hundreds of bags of soil? And this is what got me excited about heading home. 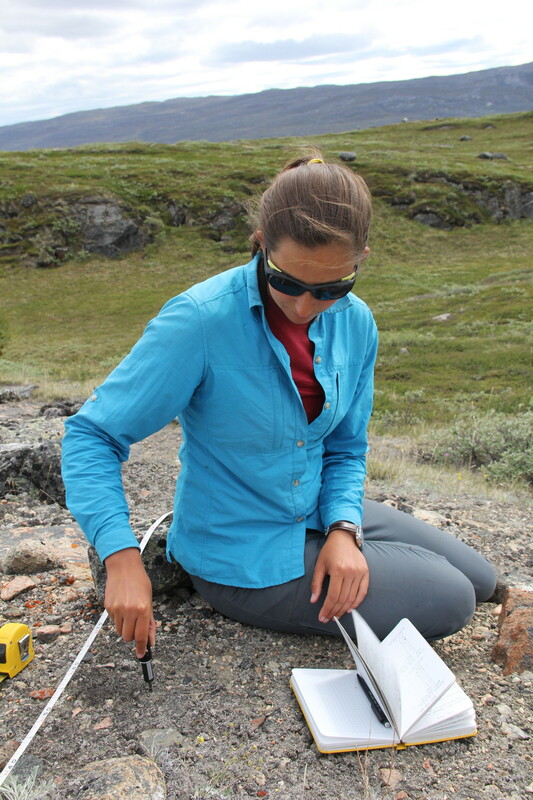 The end of the field season is only the beginning: I have data to enter, soil and rock samples to analyze, and so much new information to process. This week it seemed as though animals were coming to say goodbye. 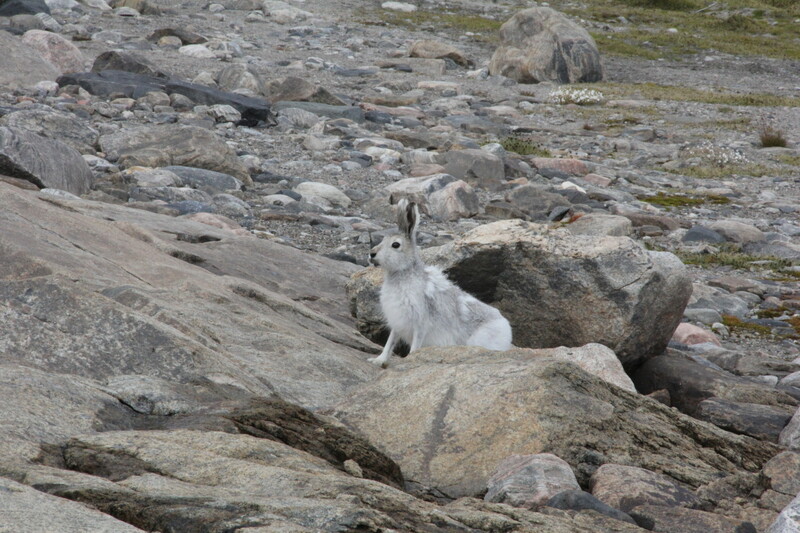 We had multiple close encounters with arctic hares — amazing! So as much as I will miss the frequent animal sightings, the breathtaking views, and the camaraderie of the field, I have things to look forward to. But the data will have to wait until I unpack, eat fresh food, and adjust to New England summer. I’m ready! 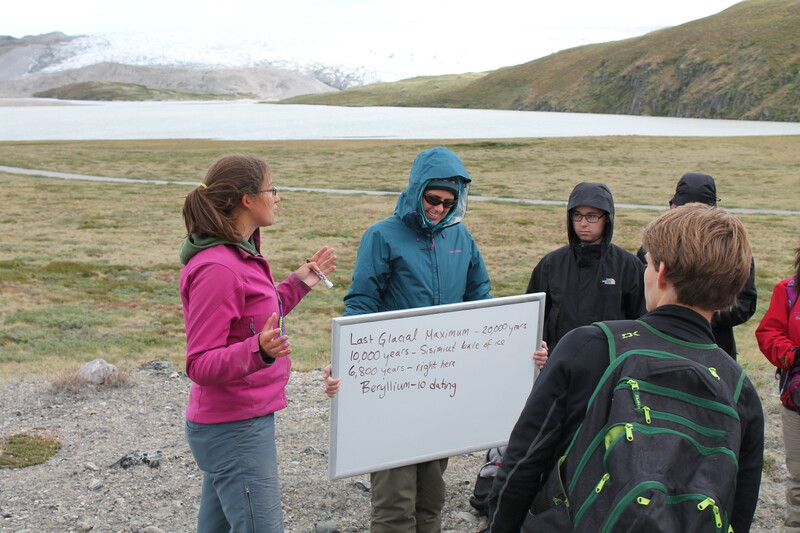 Each year, one of the highlights of coming to Greenland is working with American, Danish, and Greenlandic high school students in the Joint Science Education Project (JSEP). 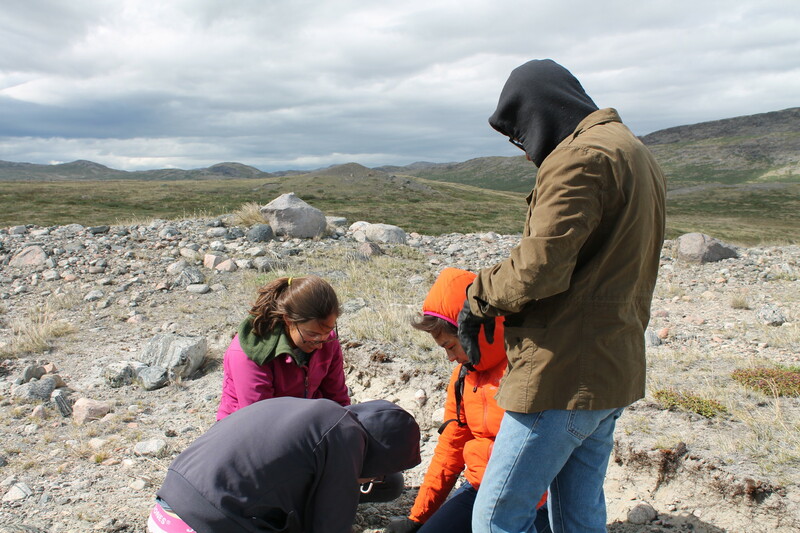 JSEP is collaboration among the three nations, and aims to further the students’ interest in science, introduce them to science projects occurring in Greenland, and teach them about the cultures of the three nations. 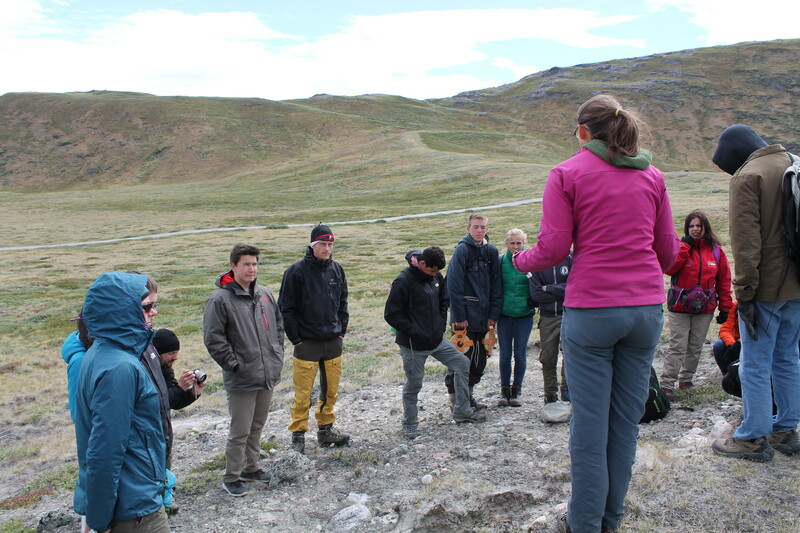 During their two weeks in Kangerlussuaq, the students get to interact with the scientists – glaciologists, botanists, geologists, ecologists – working in this area. I am always jealous of the wide range of activities the students get to experience while here. 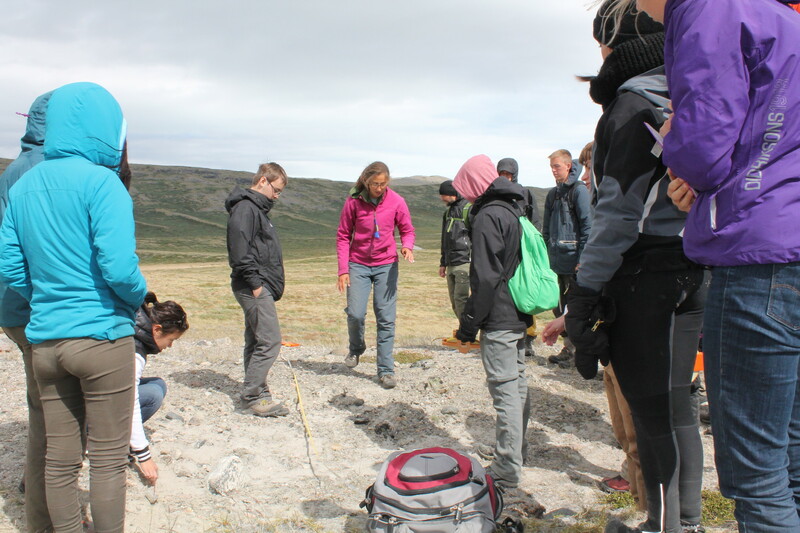 Teaching American, Danish, and Greenlandic high school students out in the field. Although this is the third year I’ve worked with JSEP, this was the first year I led a project based on my own research. This made the experience both more challenging and rewarding, since I felt so invested in teaching the students about the importance of soil erosion. In planning the activity, I wanted to give the students a feeling for all parts of my research – from big picture questions to hands-on data collection to computer-based analysis. Fortunately, lichenometry data doesn’t need a lot of processing, so we were able to collect and analyze our data in just one afternoon! Setting up a lichenometry transect for the students to measure. 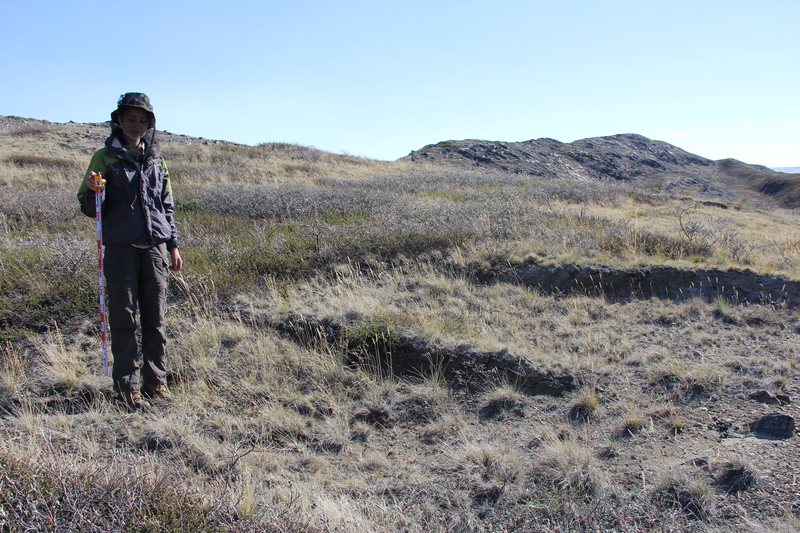 We started with the big picture – observing some eroded areas and thinking about the implications soil erosion might have for carbon cycling, plant growth, and herbivores. 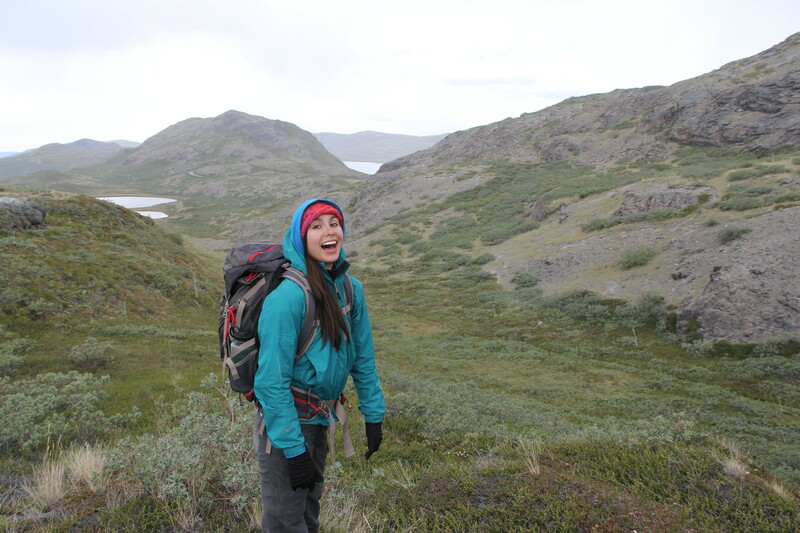 As the pictures show, it was quite a blustery day, so it wasn’t too hard for the students to grasp how important wind can be in shaping the landscape we see around Kangerlussuaq. Thinking about the different events that shaped this landscape. 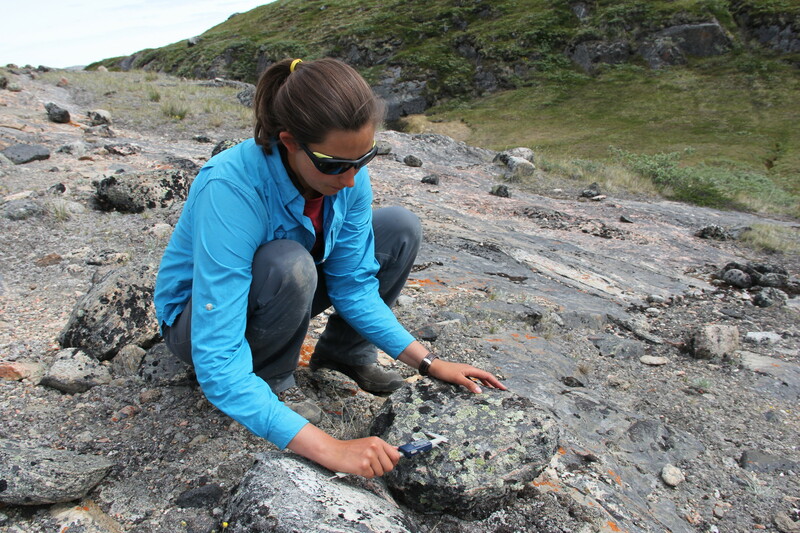 The big picture led us to my methods, and I introduced lichenometry, a dating technique that uses the diameter of Rhizocarpon lichen to estimate age of rock exposure. 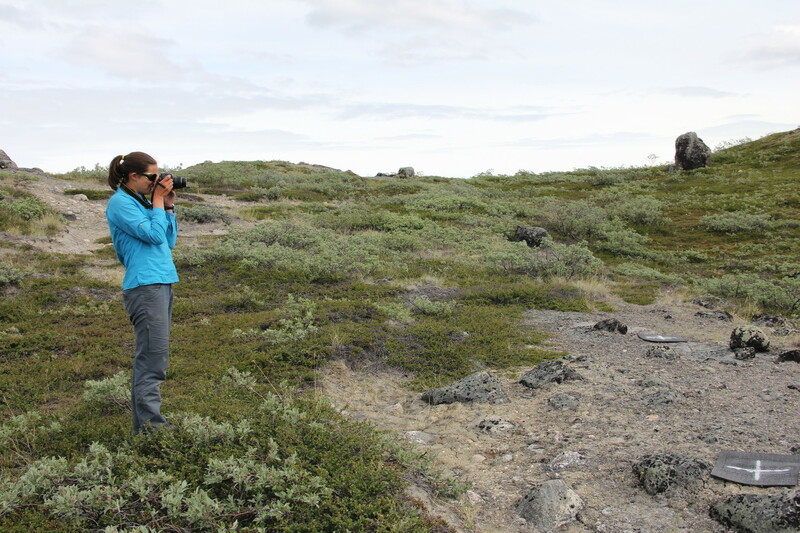 Each group got to experience what Phoebe and I do everyday – we set up five transects perpendicular to the active edge of the eroded areas, and the students measured lichen diameters along each transect. Helping one group with their lichen measurements. Back in town, we graphed the results, combed through the data, and made some calculations to come up with a rate of soil erosion for each transect. I really had no idea what to expect for, so I was blown away when the students’ results were all within the range of soil erosion rates I had measured last year. Success! Not only had they collected and analyzed data, but they had done so with enough accuracy to produce meaningful and useful results! Wrapping up after each group had calculated a rate of erosion, in centimeters per year. As always, it was such an inspiring experience working with these motivated and curious students. As we drove back to camp for the evening, I felt exhausted, yes, but I also felt uplifted by their energy and driven to continue teaching. Many thanks, JSEP! This week it felt hard to decide what to write a blog about. “Nothing has changed,” I thought, “I don’t have anything new to say.” But that’s when I realized that simultaneously, everything and nothing had changed. And that seems like a good thing to blog about. By saying that everything has changed, I mean that five new people have joined us; three will be staying at camp with us until I leave. So many new people have joined us! It’s great to be out in the field with everyone and hear about so many different projects. 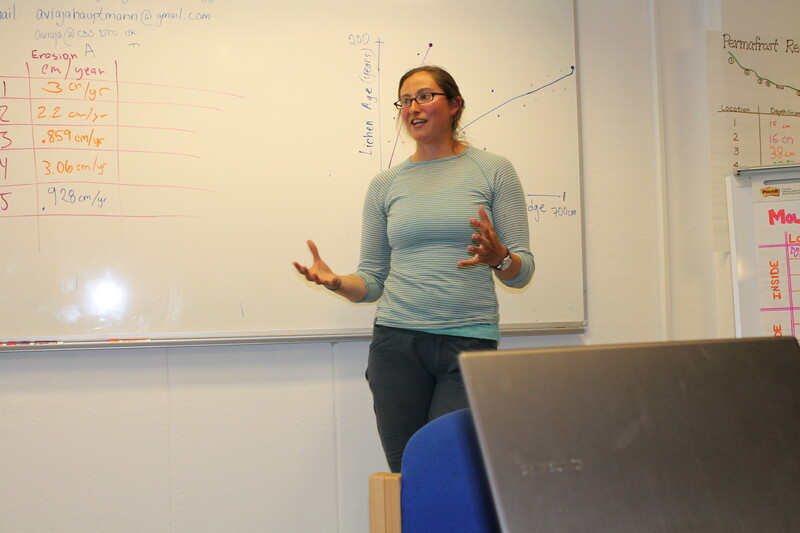 Here Lauren tells us about nitrogen isotope sampling. We have an enormous palatial tent at camp now where we can sit and relax, eat, and enjoy each other’s company without the company of so many mosquitoes. The big new tent at camp required a new sketch. What luxury! And the biggest change for me is that Phoebe has joined me as my field assistant. I now have a companion all day in the field – work goes so much more quickly with another person! It hailed on Phoebe’s first day of fieldwork! She didn’t seem to be too upset about it. But in most ways, nothing has changed. And although this may seem boring, it is actually a good thing. My science depends on repetition, and this means that most days feel exactly the same. While Becca was still working with me, we took some pictures to document what we do at each site. Although it may seem tedious to do the same thing again and again, there is something soothing about it as well – while things at camp may be changing and hectic, I know exactly what to expect when I walk up to the next deflation patch. Step One: Take numerous photos of the deflation patch. I’ll use the photos back at Dartmouth to create a three-dimensional model of the patch. From this, I’ll be able to calculate the volume of soil loss due to wind erosion. Step Two: Set up a transect running perpendicular to the active margin of the patch. We collect soil samples and measure lichen diameters along this transect. 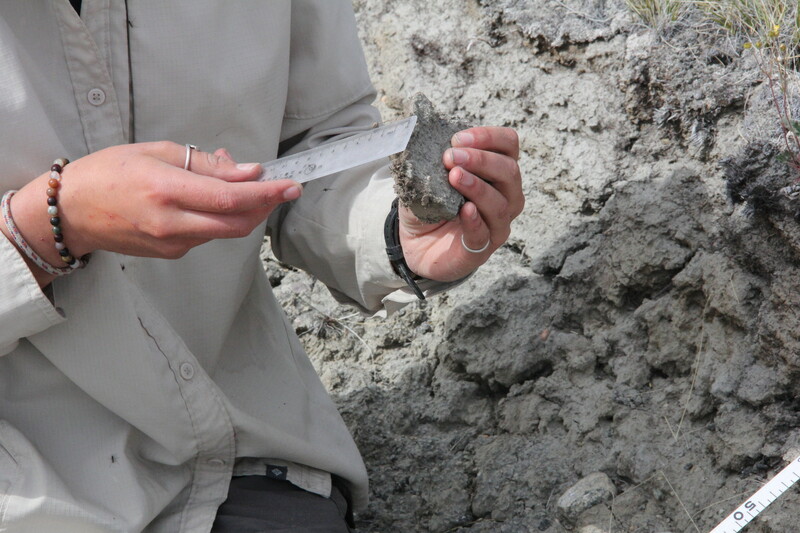 Step Three (A): Collect samples of the biological soil crust that develops within the eroded patches. 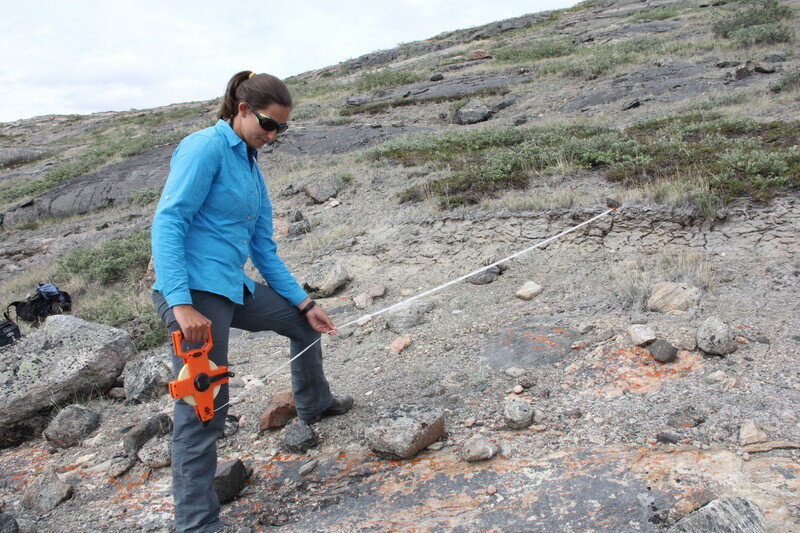 Measure the thickness of the crust at each sampling location. Step Three (B): At each soil sampling location, measure the strength of the soil crust with a handy soil penetrometer. The soil crust strength may determine how the crust helps or inhibits plant growth within the eroded area. Step 4 (A): Record lichen diameters along the transect. The diameter of the lichen tells us how old it is — this in turn can tell us about the age of the eroded area and how quickly the erosion occurred. The best part about nothing changing is the knowledge that with each new deflation patch, I’m adding a site to my collection. By doing the exact same thing at each patch, each and every day, I can compare patches and look for patterns. And the patterns I find won’t be a product of anything I’ve done differently at different sites; I can be confident that they represent a real part of the landscape. So yes, it’s nice to have new people in camp, the new tent is rather lovely, and it’s great to be spending the day with Phoebe, but I’m glad my days haven’t changed one bit. This time of year, I love walking across the tundra, seeing buds turn into flowers, new growth spring from dried plants, and the hills change from brown to green. 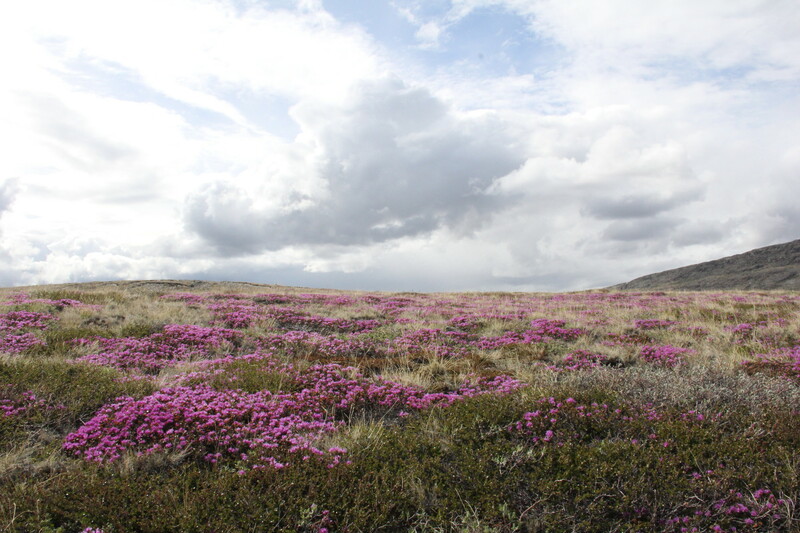 In the past two weeks, we have seen summer arrive to the Kangerlussuaq tundra: the ice is gone from Long Lake, baby birds are begging for food in their nests, and new flowers are appearing every day. 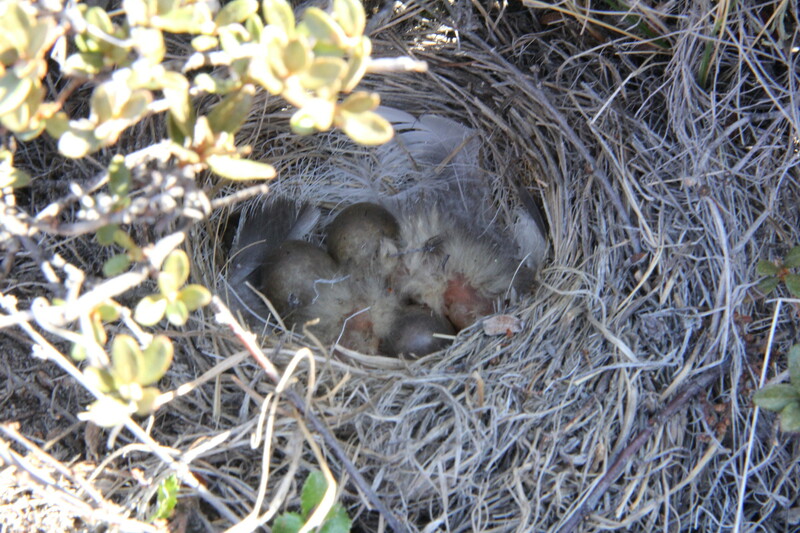 Baby Lapland longspurs in their cozy nest: one of the many signs that summer has arrived to Kangerlussuaq. Although I am here to study soil erosion, I easily get excited by the flowers – the erosional features I visit daily never visibly change, yet new flowers emerge overnight, transforming the landscape. 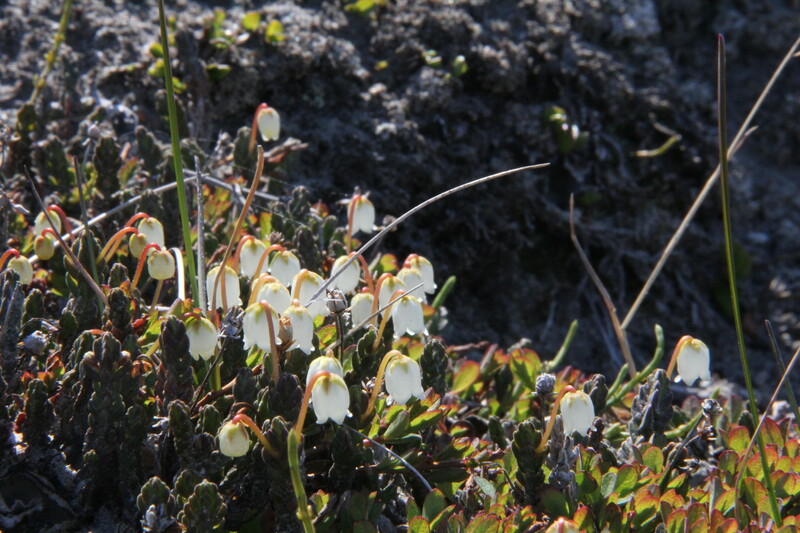 Each year I’m here, I am delighted to find my first patch of Arctic Bell Heather – an old favorite, but rare – and each year, I seem to discover a new flower. 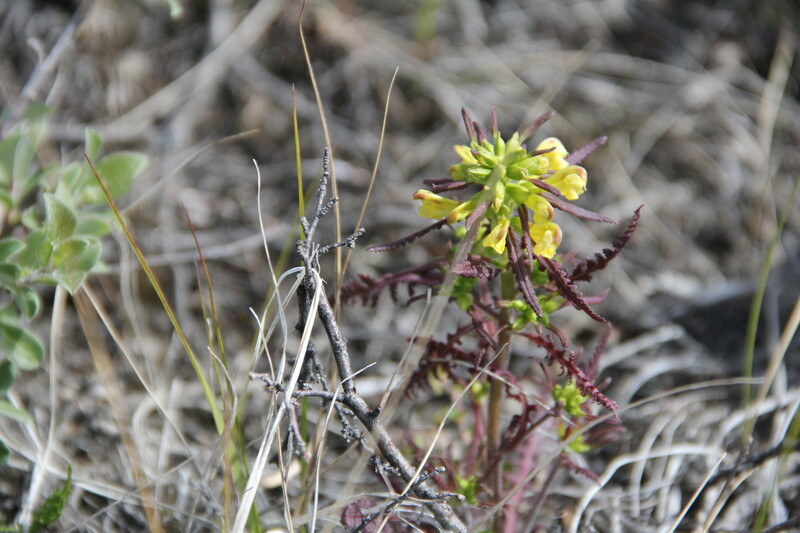 This year, flame-tipped lousewort seems to be everywhere I go, even though I never noticed it before. One of my all-time favorite arctic flowers. This flower keeps catching my eye everywhere I turn! I know that flowers change quickly (Christine, who actually studies the plants here, is racing against the clock, trying to accomplish everything before berries form and seeds disperse), but it always startles me when flowers seemingly appear out of thin air. Since I return to the same sites every few days, I notice when something new opens. 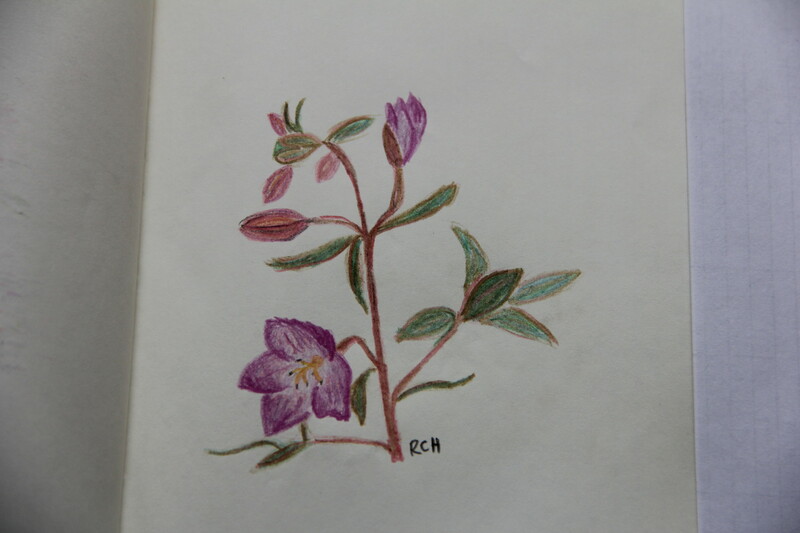 Or then there was the day we returned to camp and niviarsiaq (Greenland’s national flower) was blooming between our tents and camp chairs. Just days before I took this photo, there were no signs of these striking pink flowers. 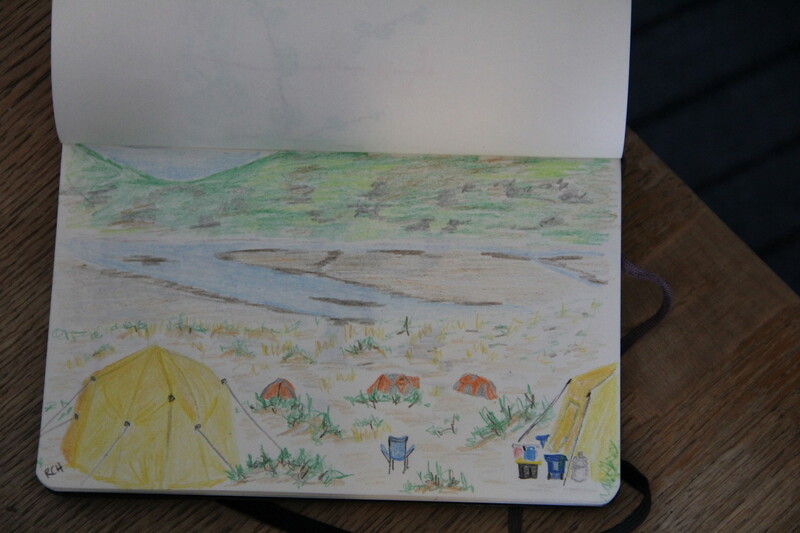 The niviarsiaq around camp is just waiting to be captured by camera or sketchbook. 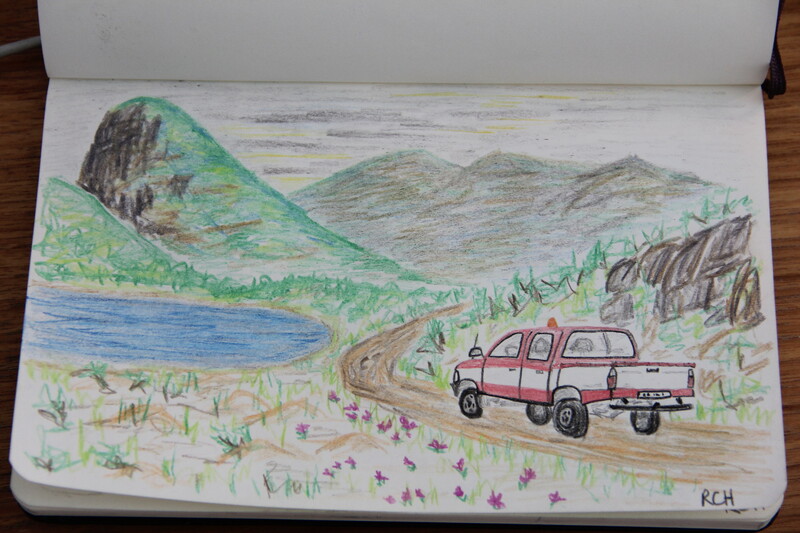 When we arrived, Lapland rosebay dominated the landscape, setting the hills ablaze. Now, not even three weeks later, the flowers are wilted, making way for other flowers to take center stage. The timing of when buds form and flowers open – the plant phenology – is something that I try to key into each year. 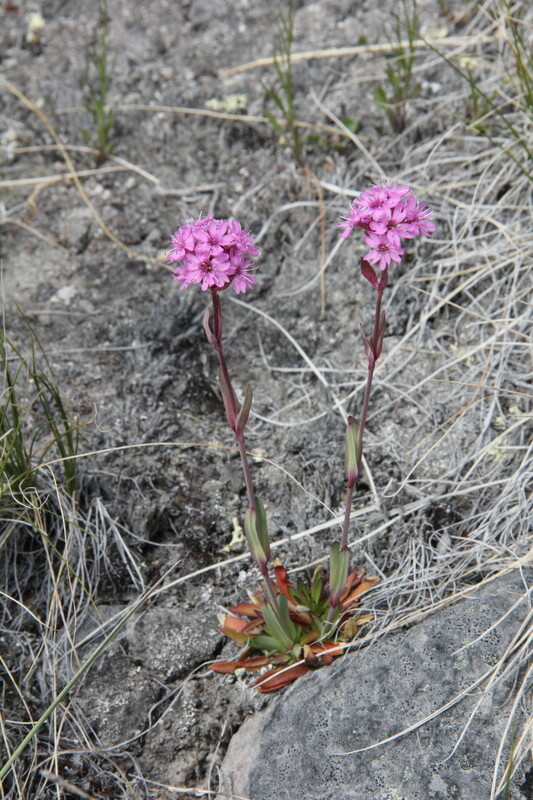 Although I think I know what to expect, the tundra always surprises me, new flowers appearing when I least expect them. This is what makes each hike exciting; each discovery, each new flower, invigorates me as I walk across the hills to my field sites. When we arrived, the fields of Lapland rosebay were breathtaking. Coming to Kangerlussuaq for the third summer in a row, I thought I knew exactly what to expect. I was excited to be back in Greenland and to see all of the familiar sights. I never would have guessed that what makes the third time most exciting (at least thus far) are the new discoveries, new perspectives, and unexplored territory. 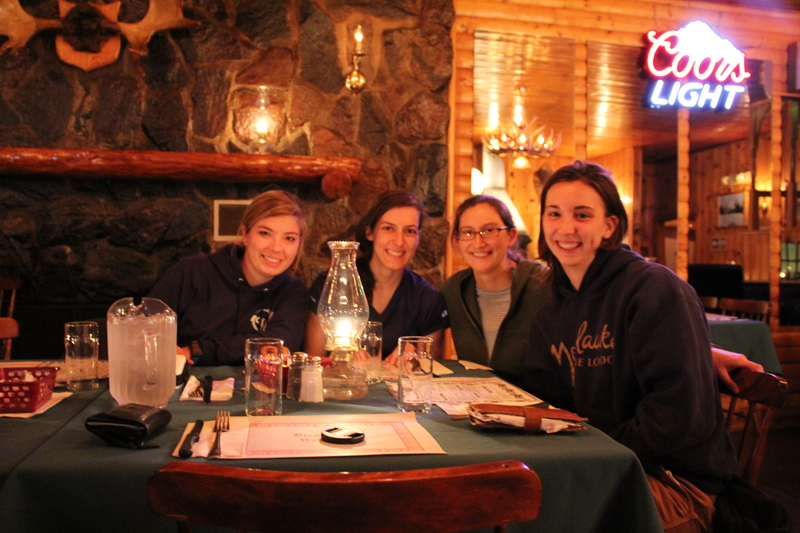 The first new experience: spending the night in Goose Bay, Labrador! I should have known not everything would be routine! There are, of course, many things that feel much more comfortable the third time around. 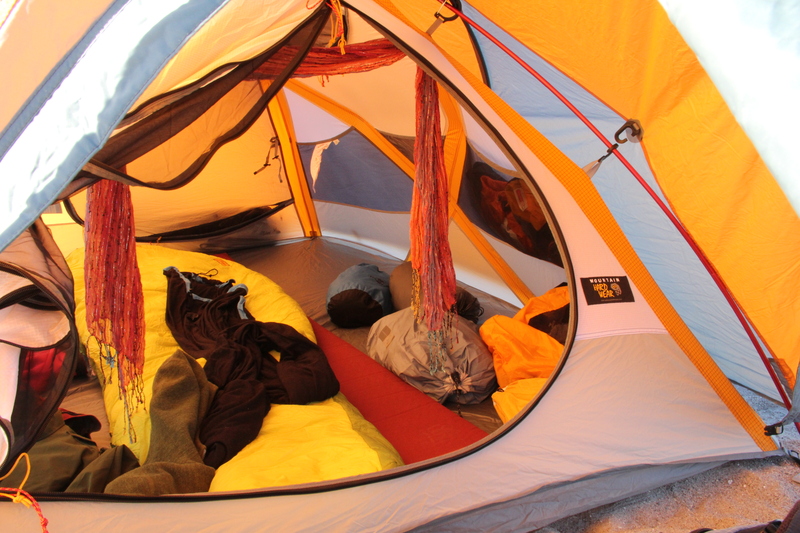 I know exactly how to arrange everything in my tent and daypack for maximum coziness and comfort. Driving the stick-shift truck on one of the bumpiest roads ever is much less nerve-wracking. And my tundra legs came back quickly this year – I no longer feel like I might twist my ankle on each tundra hummock. I am thankful that each time I return these things become easier. Setting up my cozy tent felt much easier this time around — I already knew where everything belonged! But what surprises me is how much feels new and different. Even after being here for only 10 days, I feel like I have a new perspective on the landscape and on my research. 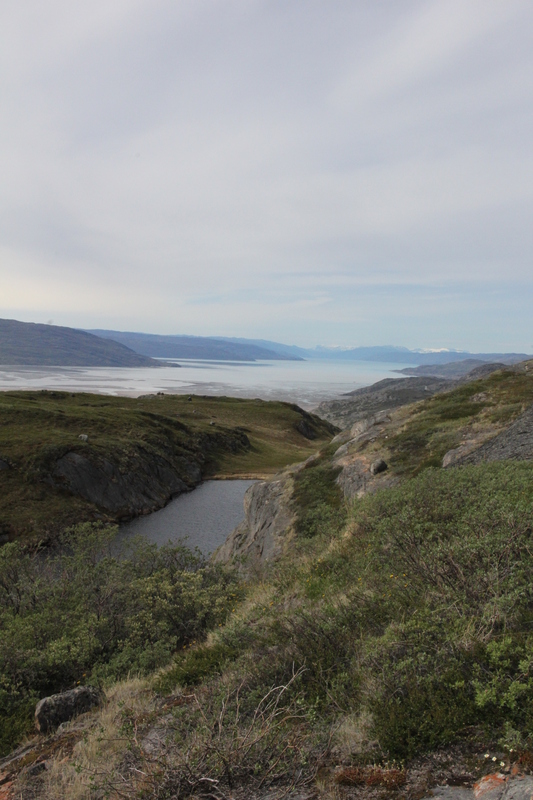 Just by coming back again, by wandering over the hills of Kangerlussuaq, I’ve gained more insight than any amount of data analysis could provide. For instance, over the past year I’ve been thinking a lot about whether or not a deflation patch can fully recover and become revegetated. Just two weeks ago, I had a hazy notion of what such a patch would look like. A few days ago, walking around close to town, I started seeing recovering patches everywhere. The vegetation is taking over, obscuring the telltale features of a deflation patch, but I’m now fairly certain that yes, this landscape can recover from soil erosion. Although I had walked the exact same paths many times before, something had changed in my perspective, allowing me to see through the layers of vegetation to the landscape’s history. Becca posing in one of the many recovering deflation patches I’ve spotted recently. 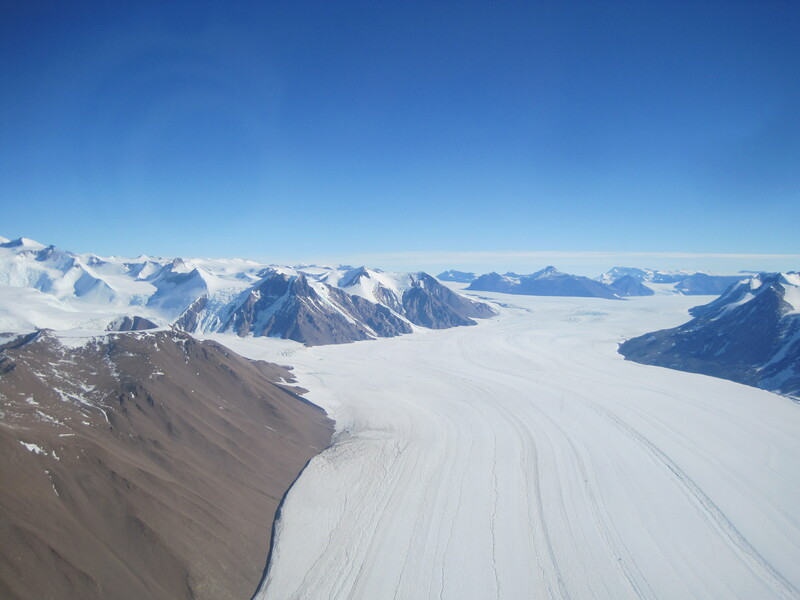 My curiosity about recovering deflation patches also took me to a new area even farther from the ice sheet than the town of Kangerlussuaq – unexplored territory. Although I knew that soil erosion was less active farther from the ice sheet, I had never really walked around beyond town. Exploring this new landscape has been the highlight of my time in the field thus far – after a morning wandering new ridges, discovering new viewpoints, lakes, and erosional features, I felt incredibly inspired and motivated. One of the new views I’ve seen on my explorations of new territory. 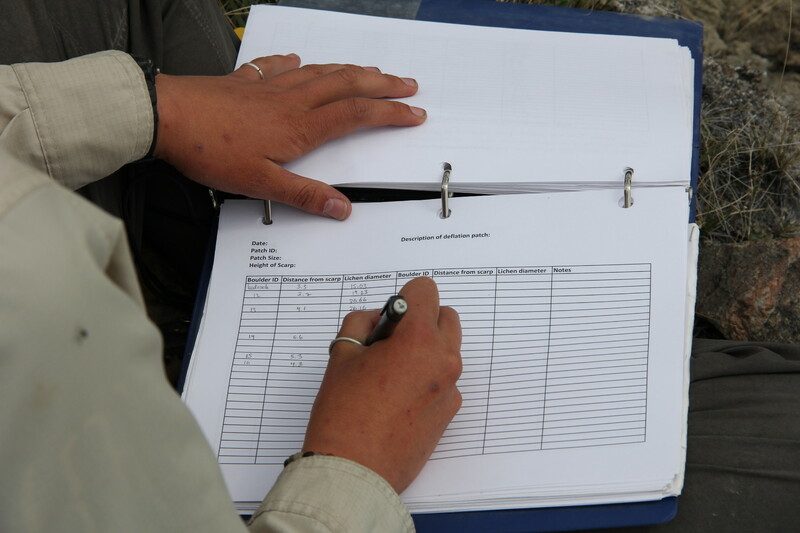 More than for any samples I collect or data I write in my field notebook, this is why fieldwork matters. New perspectives and new discoveries, for me, don’t happen in my office. They happen in the field, after returning to the same place for the tenth time, or after exploring a new ridgeline and looking at the landscape from a new angle. Sitting in my office at Dartmouth, it is hard to believe that just two weeks ago I woke up in McMurdo. After nearly two weeks at home, I’ve readjusted to life in the Upper Valley. 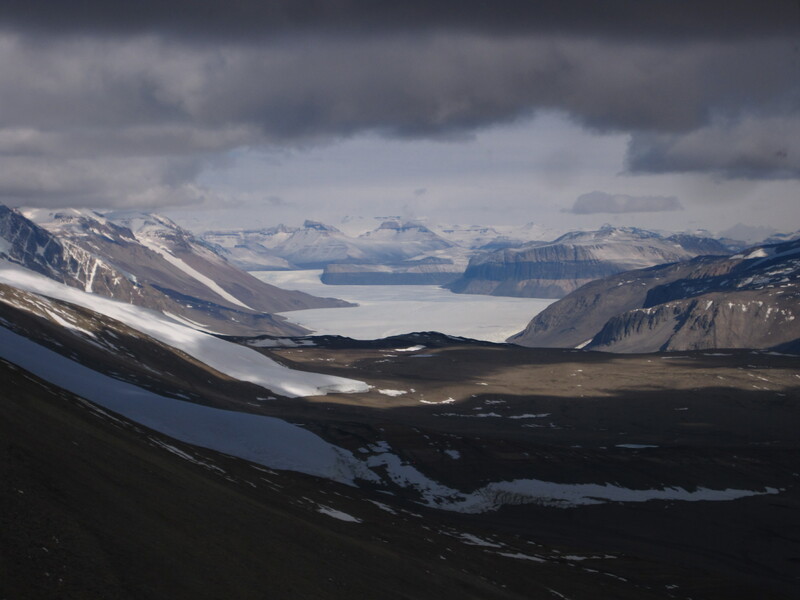 Little things, however, quickly bring me back to the Dry Valleys, with their towering peaks and constant winds. 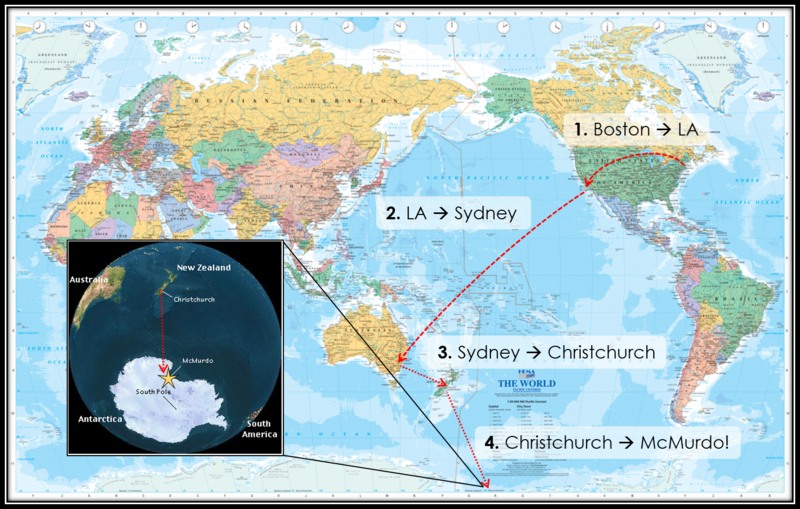 Last week, hearing all of your responses to my blog questions was a lovely reminder of my travels. It was wonderful to hear back from so many of you, to read your thoughts, and to know that you enjoyed following along as I shared my experiences. For me, writing the blogs was one of the highlights of being in Antarctica. It completely eliminated that feeling of isolation that many of you imagined. Since all good blogs require photos, I thought I’d take this opportunity to share some of my favorites from the season. Will more nutrients be delivered to the system due to more running water? Will there be any algae blooms due to increased nutrient availability? How will the lake chemistry change? Could the Dry Valley lakes ever mix? 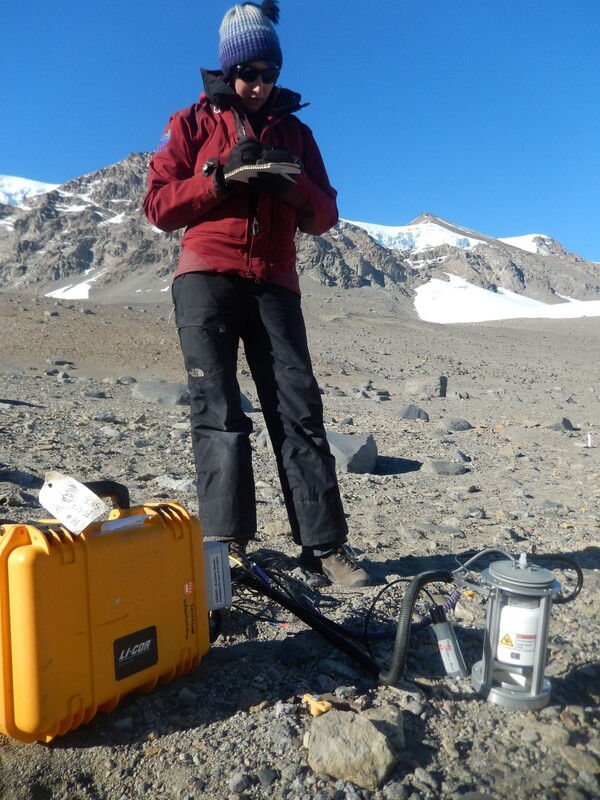 Of course, I have no answers to these questions – that’s why we continue to return to the Dry Valleys each year to make observations and conduct our experiments! 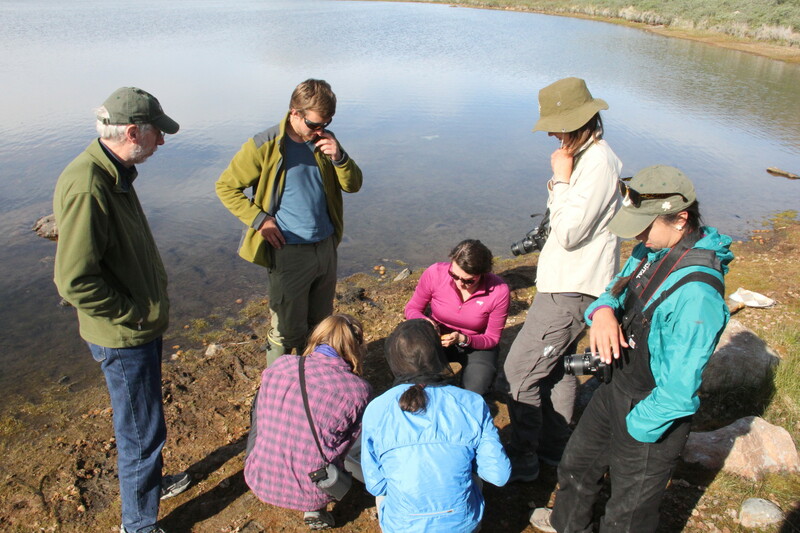 But it’s rewarding to see that even without visiting the Dry Valleys, you can begin to construct interesting and important science questions. Although many of the questions I asked were related to science, the question that generated the most responses had to do with repetitive tasks. It seems as though the balance between enjoyable and unbearable may be as delicate as the balance between liquid water and solid ice. Repetitive tasks, when efficient and with a defined purpose, can be soothing, meditative, and bring a peace of mind. But it’s very easy to push things over the edge: with just too much brainpower needed, no defined goal, or a feeling of endlessness, repetitive tasks drive everyone crazy. Having a goal, keeping that big picture in mind even as we focus on details, is critical to enjoyment. That’s something that we should all keep in mind, especially as we train assistants to do those repetitive tasks for us. 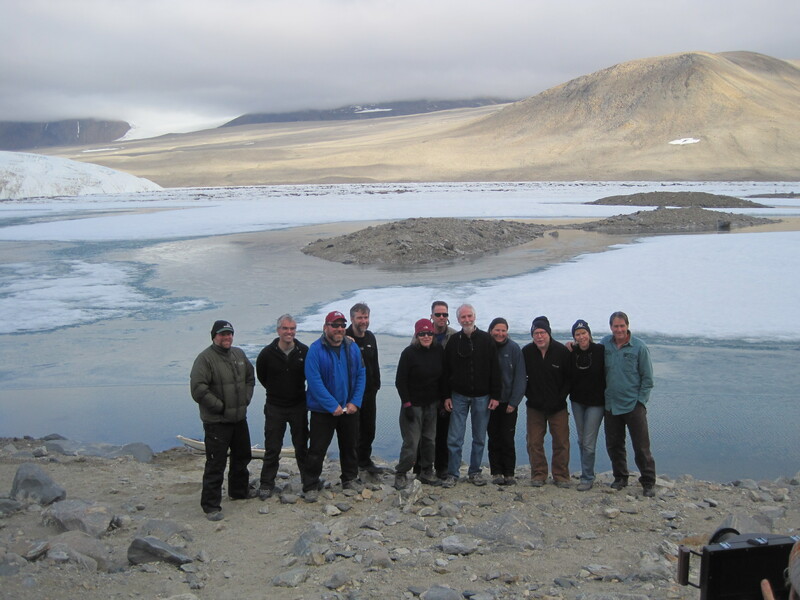 The McMurdo Dry Valley LTER Principal Investigators, all together at Lake Hoare Camp! A number of you mentioned that yes, it is possible to learn something without repetition (fire is hot, for instance). So maybe I need to qualify my statement: learning to do something well (playing an instrument, conducting science, asking important questions) requires repetition. I want to end by thanking you all for a successful blogging season! Thanks for reading, sharing with others, and responding. Stay tuned for future blogs from my travels to Greenland this coming summer!